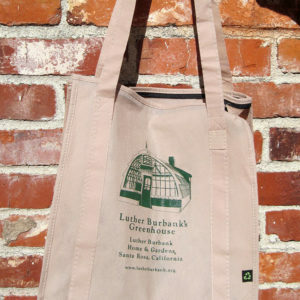 Capacious pockets; one adjustable size fits everyone. 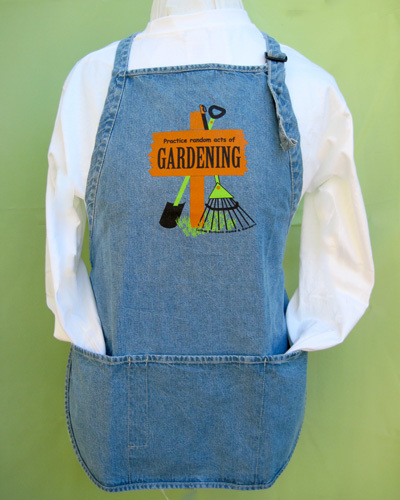 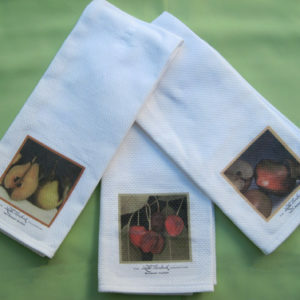 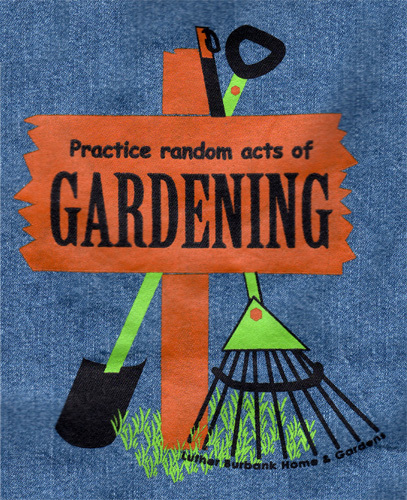 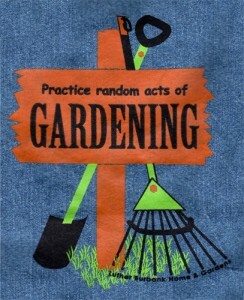 Our sturdy blue denim apron holds up to vigorous gardening use, and the colorful image by Janet Lowy will amuse anyone who toils in the soil. 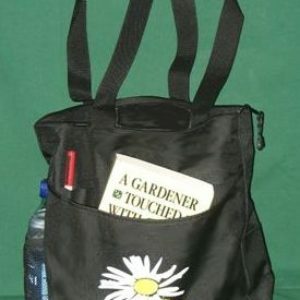 Capacious pockets; one adjustable size fits everyone.